Outfit Inspo for Valentine's Day! outfit inspo for valentine’s day! Hey Blo Babes, meet Kasey! She’s a Los Angeles-based stylist and lifestyle blogger who is obsessed with fashion, home interiors and beautiful things! She grew up in Kansas, and was glued to the TV watching red carpets, reading Vogue and dreaming of the day she could work in the industry! 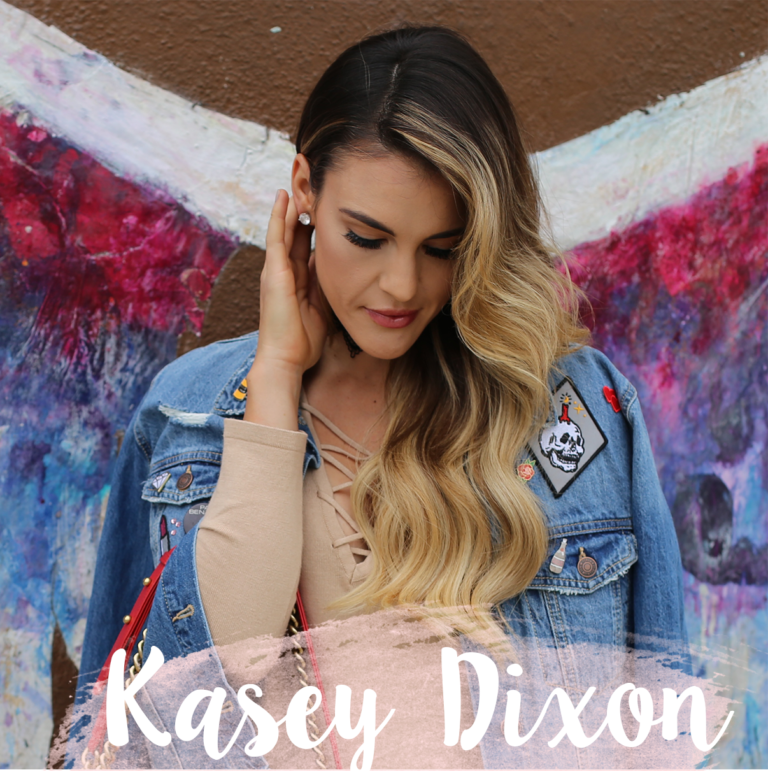 Thanks for the style tips, Kasey! Blo hearts you! First things first… HAIR! Before heading out on the town for a romantic Valentine’s Day dinner with my boo, a girl’s gotta get ready! 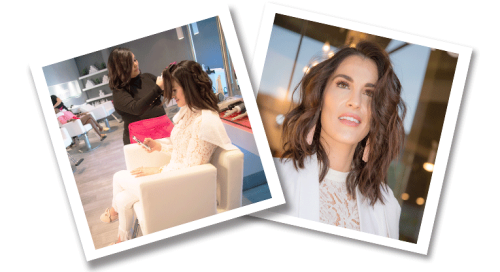 I thought it would be fun to take my besties to Blo Blow Dry Bar to get our hair done and spend a little girl time together. Galentines before Valentines! We had the most amazing time at Blo. If I could get my hair blown-out and styled every day, I would! I’m not trying to brag but my hair looks ah-mazing. There are 75+ bars across North America and the Philippines, so book your appointment and get your hair done for Valentine’s Day. Treat yourself ladies, YOU deserve it! Next up, my outfit. I’m not big fan of a lot of red, it’s just not my style BUT white and blush are. You can’t really go wrong with a monochromatic outfit– it’s so chic! My fun fringe pants, lip clutch, heels, tassel earrings and cape blazer are all under $100. You read that right, babes! Deals on DEALS! Get ’em while they’re hot and maybe switch up your typical Valentine’s Day look with a soft, girly outfit.